Once the ingredients are prepped, assembly is just a matter of how you want to do it. 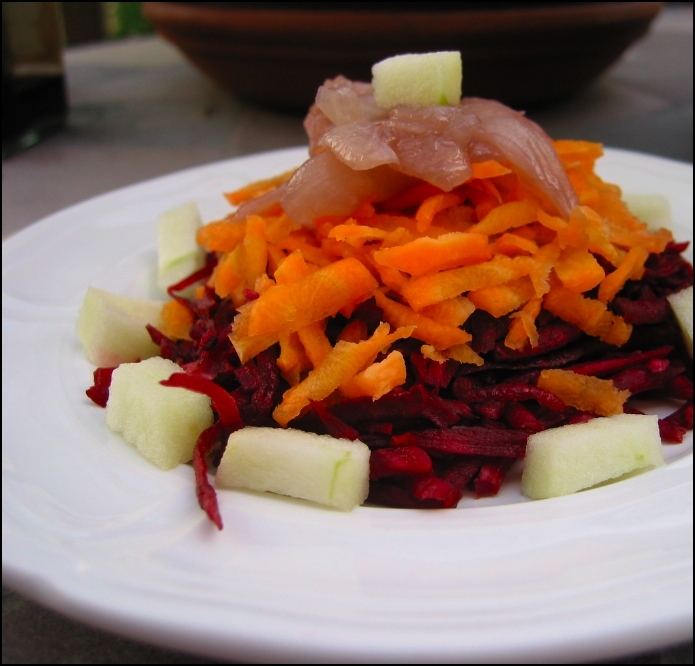 I put a big bunch of beet on the bottom, topped with slightly less carrot, a bit of caramelized onion, garnished with some chopped apple, and finished off with a splash or two of balsamic vinegar. Mix it all up and eat. It’s really a fabulous combination.